When the US Navy sought a replacement for its CH-46 Sea Knight helicopters, Sikorsky put forward a proposal for a hybrid hawk. The proposed aircraft would essentially be a UH-60L airframe with an SH-60 engine, drivetrain and rotor system. Two of the key features of the MH-60S airframe is the dual cabin door (port and starboard side) as well as the far aft-mounted tailwheel, all features of the UH-60 airframe. All of the H-60 airframes operated by the US Navy were based upon the initial SH-60B, notable for the single cabin door on the starboard side and the twin-wheel tailwheel mounted near the rear of the main cabin. The location of the tailwheel was critical to support Seahawk operations from the smallest flight decks aboard frigates and destroyers. The rear-mounted tailwheel on the Army's Blackhawk would make that aircraft's footprint too large for anything but an aircraft carrier or amphib flight deck. Up until the MH-60S, the SH-60B, SH-60F, HH-60H, and MH-60R were all based upon that SH-60B footprint. This new aircraft was initially designated CH-60S to be a direct replacement for the CH-46, but this was changed to MH-60S to reflect its multi-mission capability from vertical replenishment (VERTREP) and transport to search and rescue, from special operations support to anti-surface warfare. At one point the MH-60S was also going to tow an anti-mine sled but the aircraft lacked the power and that mission was reassigned. The nose-mounted FLIR gives the aircraft nighttime capabilities while the detachable wings can carry external fuel, Hellfire missiles, rockets or guns. 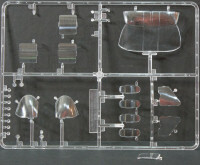 The cockpit has the first all-glass cockpit in the Blackhawk family providing greater flexibility and situational awareness. We've previously examined the UH-60L, AH-60 DAP, and MH-60G releases which are all still interesting subjects given the continued use of Blackhawks in combat operations around the world. It has been a few years since MRC last released a new rotary-winged subject in 1/35 scale and I certainly hope this new offering will draw enough attention to convince MRC to continue. Academy on the other hand has continued their use of the H-60 series in their market with the UH-60P and S-70B. 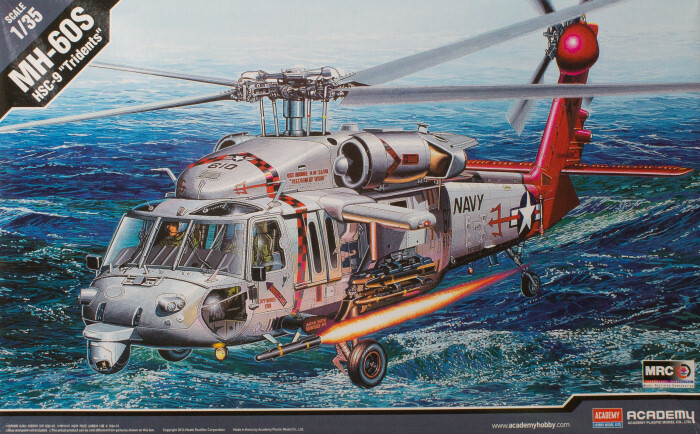 The MH-60S provided a simple step to take existing tooling and add some new parts for the navy rotor system, glass cockpit, FLIR, and a few other details to render the new variant. 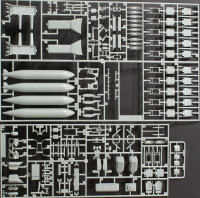 What we have here is a kit molded in light gray styrene and presented on seven parts trees plus one tree of clear parts. If you read the tabs on the sprue trees, you'll see one new large tree, a few out of the UH-60 kit, one out of the AH-60 kit, and one out of the MH-60G kit. You'll have a few spares when this project is done, but this combines the best of all worlds to create a lot of nice possibilities. You've seen some of the build-up images here between the iHobbyExpo and IPMS/USA coverage and this subject is going to provide some interesting modeling opportunities given the variety of missions and paint schemes applied to the aircraft. The three provided in this box are an excellent start, but if you search the internet, you'll also find some interesting aggressor schemes, colorful Naval Aviation Centennial schemes, and even more CAG colors to replicate. As for armament options, take a look at some of the stunning resin armament systems that Live Resin has produced for the H-60 series. Have some fun with this kit!